The former Beta Theta Pi house manager accused of deleting fraternity basement surveillance video from the night pledge Timothy Piazza sustained fatal injuries is headed toward trial after a preliminary hearing on Wednesday. Braxton R. Becker, 22, had misdemeanor charges of tampering with evidence, obstruction and hindering prosecution bound over by District Judge Carmine Prestia. It was the fourth preliminary hearing for Becker, who previously had tampering and related charges dismissed three times. Becker assisted police in retrieving surveillance video from the alcohol-fueled bid acceptance night on Feb. 2, 2017 when Piazza, a Penn State sophomore, fell head-first down the basement stairs. Piazza was given 18 drinks in a period of 82 minutes before falling. While they received footage from the first floor of the house, police said they initially were told the basement cameras, where much of the activity took place, were not working. The recording device was later sent to the FBI which recovered the video. 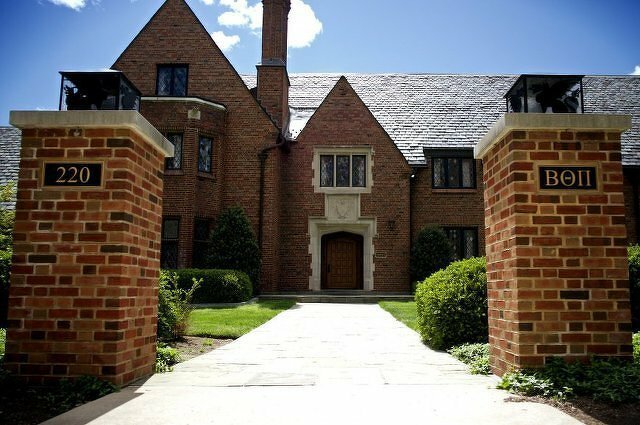 The basement video formed the basis for a second set of charges against former fraternity members in November 2017. After the most recent preliminary hearing in August, Prestia dismissed the charges against Becker, saying Becker's presence at the DVR systems at the time the video appeared to have been deleted wasn't sufficient to show he was responsible. An FBI analyst pointed to a "clear all data" command in the system log, and investigators said a photo taken by police showed Becker with his finger on a remote control at the same time the footage was deleted. Becker's attorney, Karen Muir, had argued that the system log indicated it could have been accessed remotely, that the remote was for the first-floor DVR system and that the basement system had been malfunctioning in the weeks leading up to the bid acceptance night. In September, however, Yolanda Herrera, a technical support manager for the system manufacturer Speco Technologies, reviewed the system log at the request of investigators from the Pennsylvania Office of the Attorney General. Herrera, who also testified on Wednesday, according to the Daily Collegian, said that the log showed the data was not deleted remotely and had to have been done manually by someone at the DVR system. She also said the deletion could not have been accidental or the result of a malfunctioning system, and that a user would have to confirm the deletion. State College police Det. David Scicchitano also testified to GroupMe messages between Becker and other fraternity members discussing possibly deleting the video, with Becker saying in one message "I could see if I could erase last night,” according to the Collegian. Muir argued the messages were sent before an executive board meeting in which brothers decided not to delete footage and that they were concerned with the fraternity's housing board, not police. Scicchitano previously testified about text messages between Becker and others discussing the video. In one, Becker agreed with another fraternity member that "erasing the cameras could be the look as long as no one found out," though he concluded by texting that he wanted to talk to former fraternity president Brendan Young first. Becker is not alleged to have been involved with the events of the bid acceptance night itself, which prosecutors have described as hazing. A trial date was not yet set for Becker. Three trials are currently scheduled for 2019 for defendants facing a variety of misdemeanor charges in the case. Six defendants have pleaded guilty, with another plea scheduled for December, and four were accepted into an accelerated rehabilitative disposition (ARD) program. Cael Sanderson on Tuesday gave a preview of his starting lineup for Penn State wrestling’s first dual of the season against Kent State on Sunday afternoon.